We are engaged in Manufacturing and supplying of a wide range of PTFE Rods, which are used for making bearings. These PTFE Rods provide less friction and smoothness to the bearings. With the help of our vendors, we can custom made in these PTFE Rods in different shapes and sizes and as per requirements of the customers. 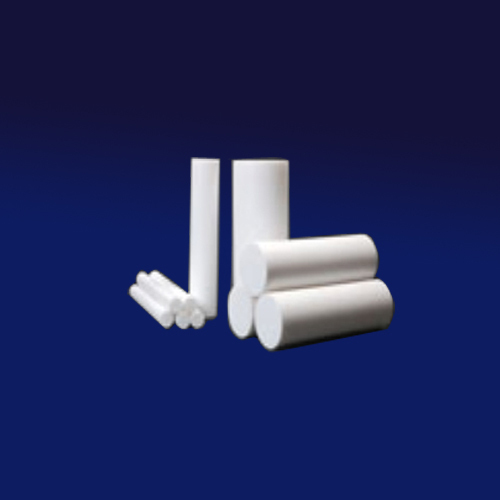 With desire to cement our reputation in the market, we are engaged in offering an excellent range of PTFE Rod. The provided rod is designed under the vigilance of our proficient professionals by using the finest quality polytetrafluoroethylene and modern technology in sync with industry norms. Provide less friction and smoothness to the bearings, this rod is available in variegated sizes, designs and specifications. PTFE molded rod: 25 mm dia to 500 mm dia length – 300 mm & also available in 500 mm length. PTFE molded rod are also available in filled grade.